Your complete satisfaction is our goal. We guarantee that your item will arrive as described. On rare occasion a rough shipping trip may cause the watches or jewelry to arrive not operating properly. Simply return it and we will repair it and reimburse your return shipping. Full refund if your item is not as described or difference from detail photos, and you notify us within 3 days of receipt. after 3 days need (RMA) Return material authorization by Jewelryandwatch.com. We never guarantee that any of the watches we sell are waterproof or water resistant unless the watch is "Brand New" and manufactured to be as such. 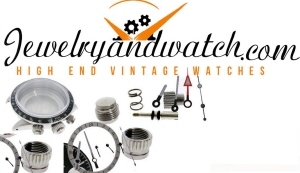 Since we primarily sell pre-owned wristwatches we have no way to be certain whether the watch has retained the original, waterproofing or resistance it may have had when new.